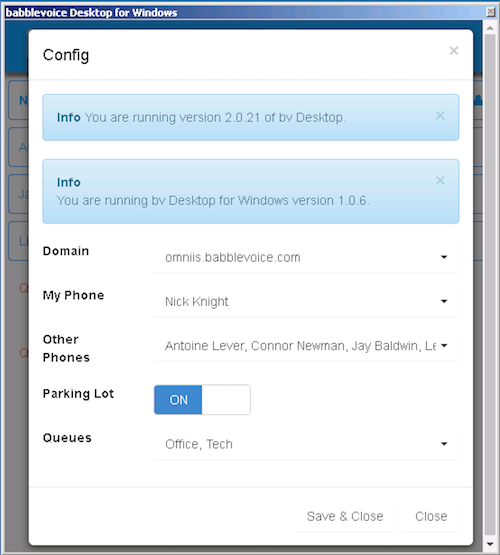 babblevoice Desktop comes in 2 versions and a helper. The Windows™ version was released to provide integration with Windows™ applications. The Web version is designed to run in any web browser so works on all platforms such as Windows™, Mac, Linux, Chrome OS and so on. The Chrome extension simply provides a few helping hands. Simply go to https://www.babblevoice.com and log into babblevoice Desktop. The first time you use it you will need to configure it. 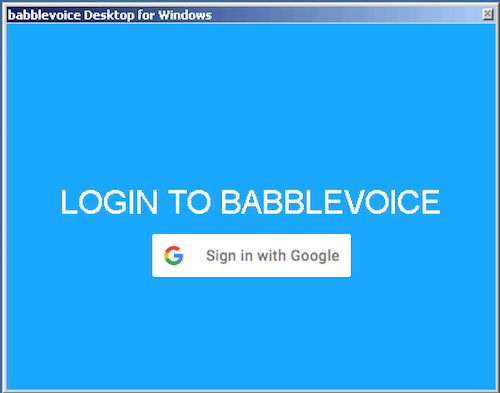 To install babblevoice Desktop for Google Chrome™ download the extension from the Chrome Web Store. To install this extension: https://chrome.google.com/webstore/search/babblevoice. Once installed, it requires you are logged into babblevoice and that babblevoice Desktop is configured. 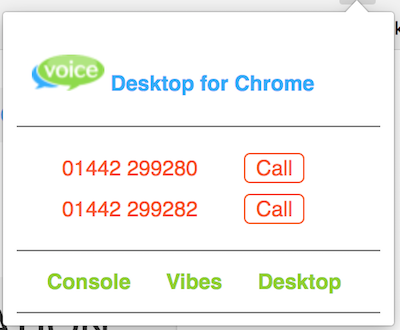 Quick links to the 3 babblevoice applications (the console, Vibes and Desktop). Dial lists for phone numbers on a page. Right click context menu for dialling a number from a web page. If you have an application which doesn’t work as is, please contact us letting us know what web application you use and we will see if we can help. The first step of installing the babblevoice Desktop for Microsoft Windows™ is to obtain the installation file. Download it here, look for the latest version of bvdesktop.exe. Run the Installer, follow the instructions until the installation is complete. To use either version of Desktop, you need to configure it. Login by clicking the Google login button and follow the instructions. Clicking the COG in the application on the main screen will always take you back to this window. The domain you are interested in. The phone you want to make calls from. This will appear in the top of the dashboard. Your colleagues phones. These will appear below your phone. You will be able to see the status of the phone. Switch on or off the parking feature of desktop. The ability to park calls off your phone so that other users can pick up the call. View calls stacking up in a call queue your receive calls for. Have the ability to pick out calls from the queue.